Pictured above are winners Aliena Grainger, Ella Greer and Daphne Morrill. Photo submitted by Jane Kring. Three local schools competed in The Battle Continues, a regional book trivia challenge. Teams of four 7th-12th grade students read 20 books, including “To Kill a Mockingbird”, “Enders Game” and “The Outsiders”, in order to prepare for the competition. They met at Morristown Central School to answer “In what book” questions about the 20 titles. 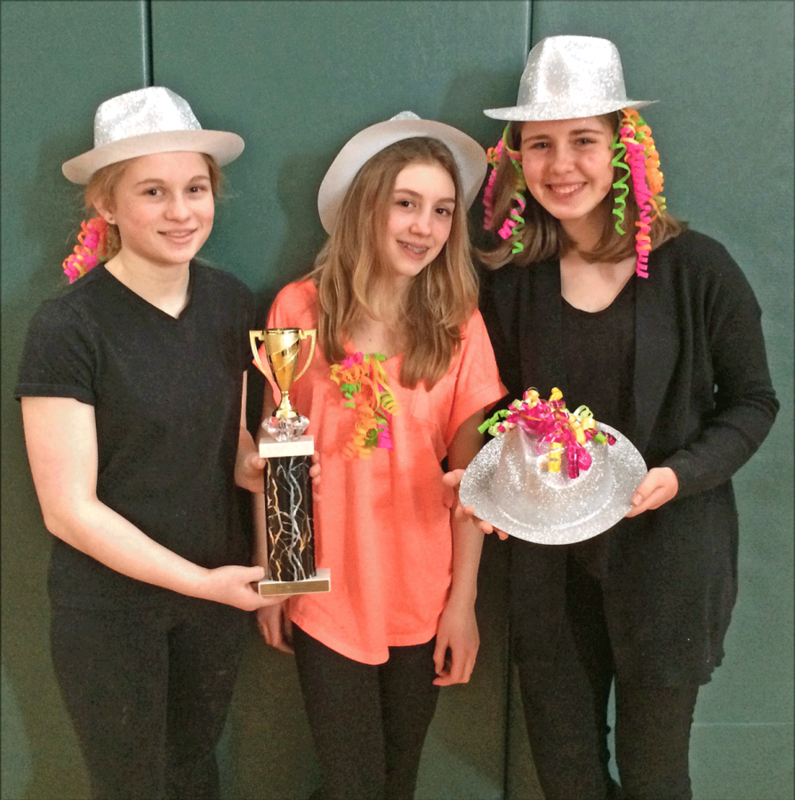 The Twisted Plots from Potsdam (Aliena Grainger, Ella Greer and Daphne Morrill) placed first in the tournament, and took home the trophy. The Furious Mountain Gnomes of Morristown (Aiden Begel, Reagan Butler, Lawrence Ivan Kring IV, and Trent Miller) placed second, and The Booktastic Bookworms of Massena (Makayla Bolia, Alexis Boulais, Paige Francis, and Aria Ferriero) placed third. A special thank you to the NCLS Battle of the Books which was the inspiration for The Battle Continues, and Amber Gladle, the Morristown Central School librarian that made this competition possible. Thank you to the many volunteers that wrote the questions used during the tournament, including Jason Begel, Cindy Cole, Amber Henry, Connie Martin, Jill Martin, Darrell Merkel, Juliette Ross, Mary Catherine Spilman, and Kathy Wears. Thank you also to Tanya Butler who served as the timekeeper today and Bridget Whalen-Nevins of the Morristown Public Library for her support and enthusiasm. Please consider participating next year! The booklist and new website will be released to NCLS public librarians and St. Lawrence County school librarians in September.